Amendments to the withholding tax table have been finalized following the implementation of the tax reform law on January 1, 2018. This law is commonly referred to in the Philippines as the Tax Reform for Acceleration and Inclusion (TRAIN) Law and is aimed by the Duterte administration to standardize withholding tax rates and simplify tax compliance. The revised withholding tax table takes into consideration the new income tax rates prescribed by the Revenue Memorandum Circular issued on the 5th day of January 2018. Another significant change specified under the TRAIN Law is the removal of additional personal exemptions (APE) for taxpayers with dependents. This implies that both married and unmarried taxpayers belonging to the same tax bracket are granted with equal tax rates irrespective of whether or not they have dependents. Determining contributions to SSS, PhilHealth, and Home Development and Mutual Fund (HDMF). In line with this, both houses of Congress have decided to place 0% rate for taxpayers with annual taxable income of P250,000 and below. 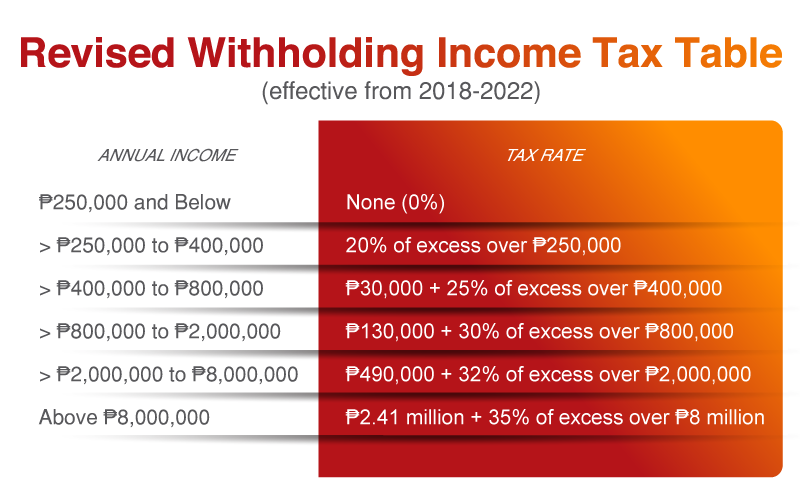 Those with yearly income above P250,000 will be taxed from 20% to 35% depending on their tax bracket. These income tax rates are effective from 2018 to 2022 and are envisioned to decrease on 2023 and onwards. Proper observance of the new withholding tax rates is mandatory and subject to strict compliance by the Bureau of Internal Revenue (BIR). 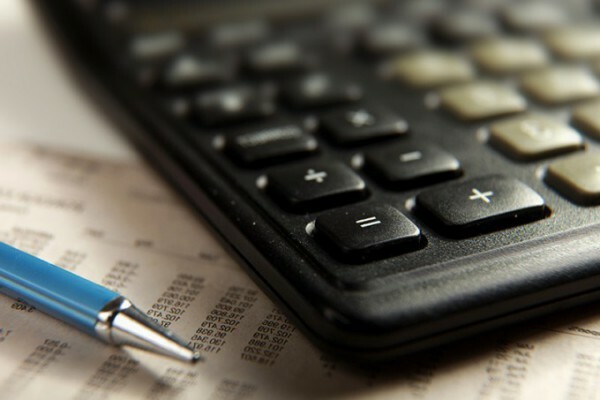 Employers using the old tax table from the National Internal Revenue Code (NIRC) are mandated to return to their employees the excess deductions incurred from not using the new tax table. Employers can be prosecuted if their employees file complaints for wrongful deductions or non-compliance with the prescribed mandate. If you have questions regarding the new tax law, you can consult our team of certified payroll professionals at K&C. We provide assistance on how to keep up with the new tax updates and ensure accurate payroll computations. Additionally, we make use of advanced online payroll software to run payroll in seconds and take care of your payroll processes for you. Our reliability and transparency have paved way for lasting business relationships. Outsource your payroll processing needs with us today and stay up-to-date with mandatory Philippine requirements.